This weekend was a pretty exciting one for us as it we would be attending our first proper games show as Eurogamer Expo was in London for the weekend. Unfortunately we only had Sunday tickets so first a quick catch up on the rest of the weekend. The majority of the weekend was pretty lazy for me, and that was mostly because I was trying to shake off a cold. It wasn’t a bad one, just one those ones that just doesn’t really seem to do much. Which meant on Friday night we stayed in and just watched a bit of TV, nothing to exciting really. On Saturday I got back on to a bit of Destiny. I think I’ve hit a bit of wall with it now. I’m level 22, and seem to be finding it hard to progress beyond that point. I know I can get better gear from doing higher level strikes or raids. But to do those raids, and strikes, I need to be level 24 in most cases, and to get to level 24 I need that better gear… It feels like a bit of a chicken and the egg situation. I’ve been trying to get lucky by playing crucible matches, but mostly I’ve not been getting lucky enough, with only the odd strange coin popping up, or a half decent weapon which I immediately scrap. As we were heading to EGX pretty early on the coach the next day, Murr came over to mine and we played some video games, but not a lot mainly because we didn’t want to have a late night, so we would be ripe and ready for the next day. Sunday, we were up before 6am, and on the coach to London by 6:45. We tried to catch a few winks on the way down, but my attempts were futile. 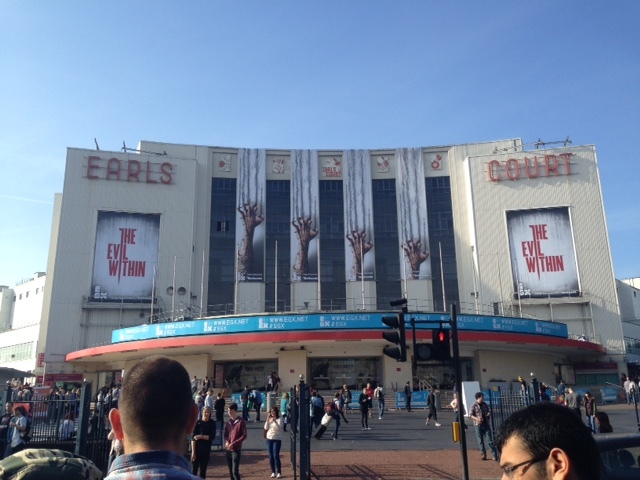 We eventually got to London around 9:30, and after battling our way through the tube stations, finally arrived at Earls Court for the ultimate geek out day. Now we plan on talking about our highlights of the show later in the week, so I will give you a brief over view of what I enjoyed from it. The show itself was complete nerdvana for us, and felt completely in our element from the moment we arrived. We just wondered around for the first hour or so, getting our bearings and jumping on what we could hear and there. We managed to try out Splatoon and Ori and the blind forest within the first half an hour or so. Then we decided to try some of the bigger games, and queued for Aliens: Isolation. This was one of the games I was really looking forward to trying out. It was all held within its own booth, that was completely enclosed, so you couldn’t see anything going on inside. After about 20 minutes of queuing we got in, and had a little ‘tutorial’ of sorts from one of the staff. Then we were led to our seats to take part in the challenge mode. The objective was to make it to a ‘point’ in the map, I can’t remember where it was, and quite frankly got nowhere near it, as I kept getting chomped and stabbed by the Xenomorpth. 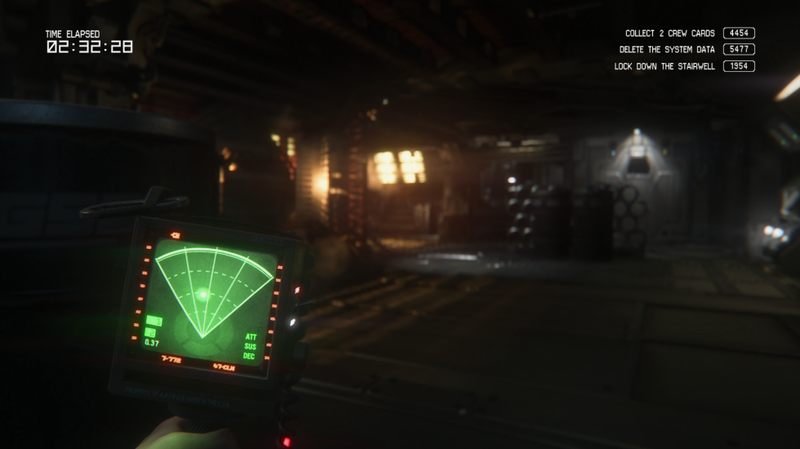 The game is ridiculously atmospheric, and as someone who is a big fan on the Aliens franchise -hence my ‘Hudson’ gamertag, felt that the game really captures the feel of the films. It’s scary, too. Although I thought I would be jumping a lot more than I did, which I’m still not sure if that’s a good or bad thing? Don’t get me wrong, the first time my motion tracker beeped at me, I stopped in my tracks, and ducked behind the nearest barrel, but I didn’t ever feel terrified. Either way it was great fun if frustrating to not really get very far. Had we had more time on it, I’m sure I would’ve done a bit better. Other games that impressed me were Dying Light, Far Cry 4, DRIVECLUB amongst a few others, but as I said, we will talk about the rest of the show in a bit more detail later this week. We eventually left around 6pm to catch our coach back home. Knackered, but it was well worth it, and I can’t wait to go again next year. 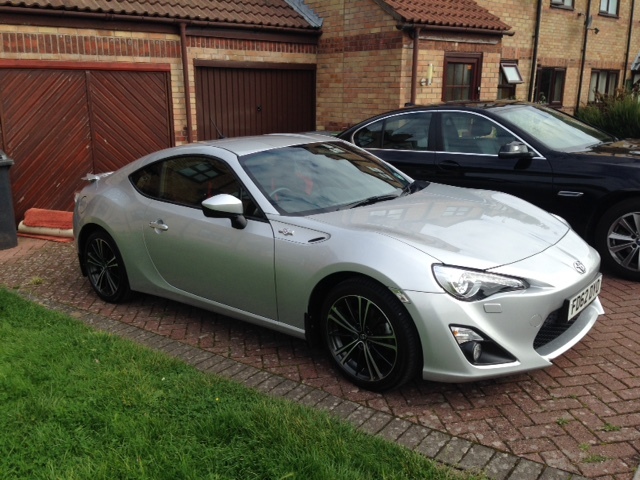 Yup Saturday my wife and I hit the road early heading to Basingstoke to pick up my new car pictured. My god I love it, the drive home I could not wipe the smirk off my face. When we got back we went out for a meal as we got paid this weekend. I then headed over to Wills house in the evening as he mentioned where we played a few games, and watched some TV. Part of Shaun of the Dead and Match of the Day. Sunday as you’ve already read we hit the road early for EGX. I managed to catch up wish some sleep discovering a drool patch on my shoulder half way down the motorway. It was unbelievable in there. Just awesome. More detailed coverage to arrive, but as a quick wrap up the games I found most impressive were DRIVECLUB, Bloodbourne, Dying Light & Far Cry 4. Splatoon was of course very fun too!